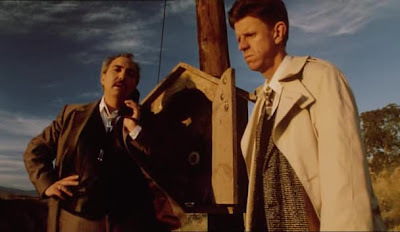 The idea is simple - two businessmen, one American, played by Cox regular Miguel Sandoval ('Get Shorty', 'Blow'), and one Englishman (Cox himself) meet in the deserted dining room of an expensive hotel in Liverpool. They chat while waiting for service, and when it looks like that isn't forthcoming, they go on a quest for food. Finding the kitchen deserted, and likewise the rest of the hotel, they venture outside to look for somewhere to eat. And so their "adventure" begins. They walk, talk, agree, disagree, irritate and bond with each other while never quite getting the meal they desire. Things never go to plan, they get sidetracked, misled, confused, and go up various dead ends and strange situations. While still thinking they remain in Liverpool they end up traveling around the world. A plot description doesn't do this movie justice, the real story is in the telling. where Bennie has an anxiety attack. They move on but find no satisfaction at a Chinese restaurant or a Japanese restaurant. Hunger pangs surface as they travel about via subway, bus, ferry and taxi. 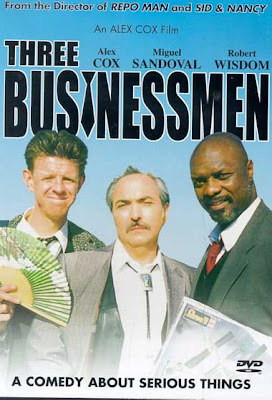 Eventually, they arrive in the middle of a desert where they meet another lost and hungry businessman, Leroy Jasper (Robert Wisdom). English subtitles are my own. Un estadounidense y un inglés quieren cenar en Liverpool. Se pierden, se alejan, se enojan, se amigan, mientras sin darse cuenta van recorriendo distintas ciudades del mundo. 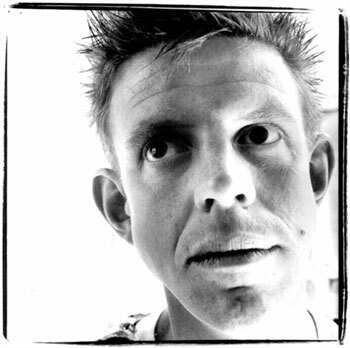 Delirante comedia de Alex Cox. A married couple have a small apartment in Moscow. 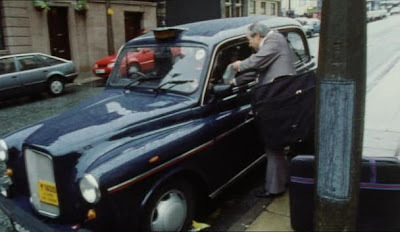 When an old friend of the husband's arrives in the city, he is unable to find lodgings. Kolia, the husband, invites his friend to move in with them. With an involving plot, comic invention, pathos, naturalistic performances, and highly-charged use of space and objects, director Abram Room illuminates the lives of the characters but without offering a simplistic resolution. Instead he successfully uses their personal stories to probe complex issues of lingering patriarchy and female self-sufficiency in the new Society. 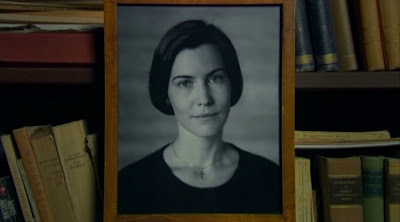 Una joven pareja vive en un pequeño departamento de Moscú. Cuando un amigo del esposo que ha llegado para trabajar en la ciudad no consigue alojamiento, Kolia, el esposo, lo invita a parar en su casa: puede dormir en el sofá. Tras un comienzo de comedia amable, con tintes naturalistas y tramos cuasi-documentales dignos de El hombre de la cámara, el film se vuelve claustrofóbico a medida que asoman trazos sombríos. 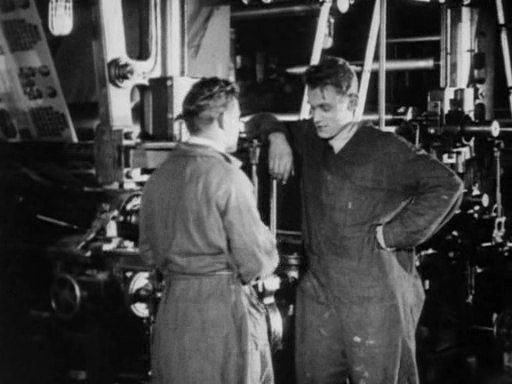 Obra cumbre del cineasta soviético Abram Room (1894-1976). Libro y guión del conocido crítico y teórico literario Viktor Shklovsky. 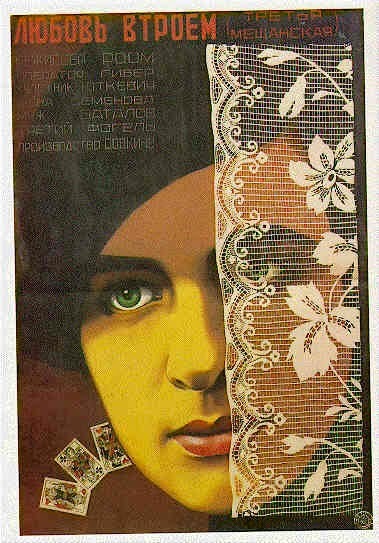 Jay Leyda calls Bed And Sofa a "coming to Moscow" film: one of many modernist social dramas in early Soviet cinema. Like its fellows, the movie can be read as a specific critique of the way ingrained prejudices threaten the enlightened communist state, or as a generalized comment on how the new social order has sent everyone scrambling. Jay Leyda define a La cama y el sofá como un "film de llegada a Moscú": uno de los muchos dramas sociales modernistas del primer cine soviético. Como muchos films similares, la película puede ser leída como una crítica específica del modo en que prejuicios asentados amenazan al ilustrado Estado comunista, o como un comentario generalizado de cómo el nuevo orden social ha puesto en competencia a todos contra todos. Para aquellos que no necesariamente se interesen en obras de tesis de más de ochenta años, La cama y el sofá ofrece los habituales regalos del cine mudo ruso, particularmente un montaje inventivamente expresionista que une escenas naturalistas de personas construyendo, limpiando, o jugando con sus gatos. La competencia entre los tempranos cineastas rusos y sus compromisos ideológicos generaron una secuela de películas enfocadas en el pueblo, pero cargadas de estilo. Room mezcla los dos modos en La cama y el sofá, volviendo repetidamente a planos en parte admirados, en parte críticos, pero siempre bellamente compuestos, de ciudadanos entregados al trabajo y máquinas en pleno funcionamiento. Mirza Sajjad Ali y Mir Roshan Ali se reúnen, como es habitual en ellos, para jugar interminables partidas de ajedrez. Es el año 1856 y se están produciendo los primeros levantamientos anticoloniales, sin embargo ellos no son hombres de política y permanecen ajenos a lo que sucede a su alrededor. El filme está hablado en hindi, la lengua más expandida del continente indio (pero que Ray no habla). Se reconstruye la civilización urdu de 1856, en el momento de la anexión británica y un año antes de una de las primeras revueltas contra el ocupante rapaz. El film narra la historia de dos miembros de la clase alta en el noreste de la India a mediados del siglo XIX. Son dos terratenientes inútiles que se pasan los días jugando al ajedrez. Simultáneamente y con mucha sutileza, Ray nos cuenta la historia de la toma de poder por parte de los británicos en esta última "cereza por comer" del subcontinente asiático. 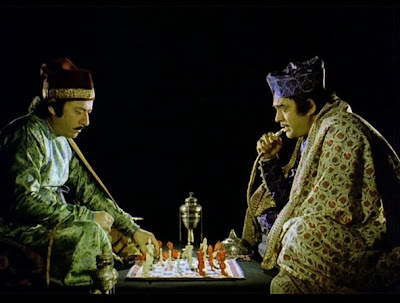 In the kingdom of Awadh, rich landowners Meer (Saeed Jaffrey) and Mirza (Sanjeev Kumar) pour every ounce of passion into a never-ending game of chess. At the same time, an ambitious British General (Sir Richard Attenborough) plots his own moves against Awadh's King (Amjad Khan) and Prime Minister (Victor Banerjee), in the hope of taking the region for his Queen. Heedless of their political and family responsibilities, Mirza and Meer keep playing. But as British soldiers march on their homeland, an innocent game escalates into deadly confrontation and catastrophic loss. Rich, poor, winner or loser, everyone is revealed to be history's pawn. 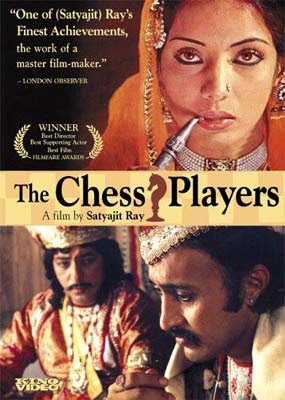 Written, composed, and directed by Indian master Satyajit Ray (Pather Panchali), The Chess Players presents a stylized world in which the landed gentry lounge about, endlessly pulling on hookahs and engaging in the "king of games." Outside their gilded doors, the order that allows them this luxury--let alone their marriages--is crumbling. They couldn't be more oblivious. 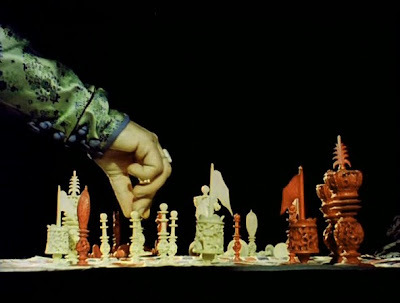 As the narrator notes, "Mr. Meer and Mr. Mirza are only playing at warfare. Their armies are pieces of ivory. Their battlefield: a piece of cloth." 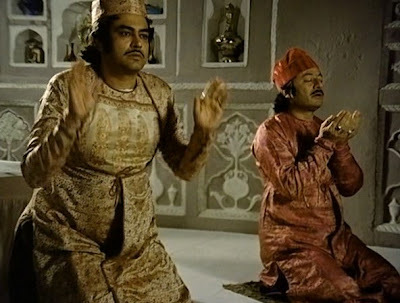 Set in 1856 Lucknow, the noblemen (Saeed Jaffrey and Sanjeev Kumar) are situated in one of the few Indian territories not ruled by Britain's East India Company. The British, meanwhile, are also playing a game of chess, and equally oblivious Oudh ruler Nawab Wajid Ali Shah (Amjad Khan) is the king they intend to capture. Au royaume musulman d'Oudh, le souverain Wajid Ali Shah occupe son temps entre la poésie et la musique. Non loin du palais royal, deux propriétaires terriens jouent d'interminables parties d'échecs. Plonges dans leurs passions, il ignorent les visées colonisatrices de la puissante Compagnie des Indes dont l'armée est aux portes du royaume. 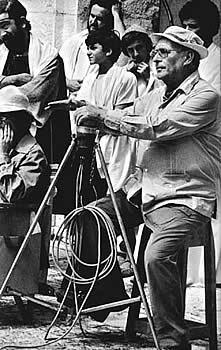 "Defiantly and majestically cinema à la Rossellini" (Andrew Sarris), Socrates was a film Rossellini had wanted to make since the early Fifties. 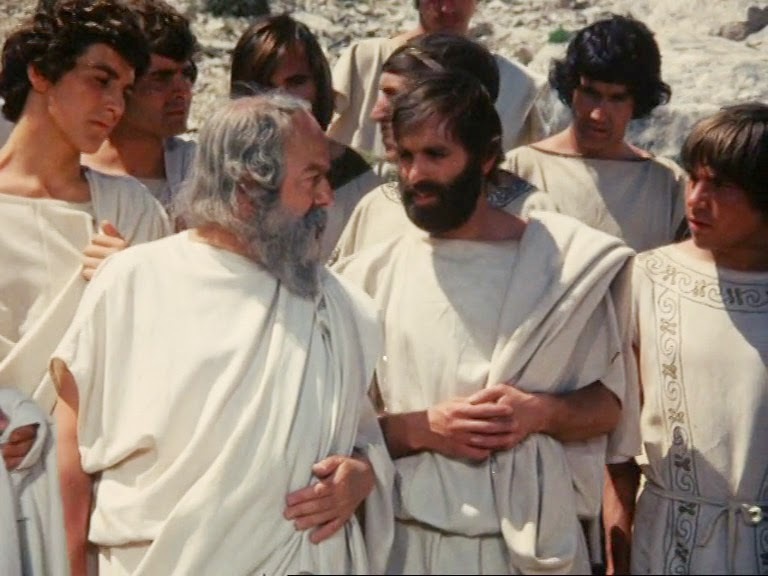 The film brilliantly recreates ancient Athens and the last days of the orator and philosopher with whom the director clearly identified. 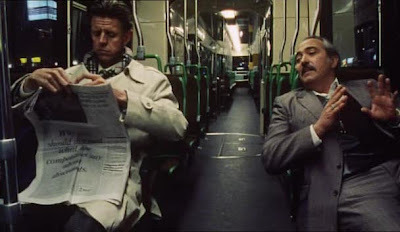 (Massimo Olmi's touching account of the shooting of the film ends with this telling observation: "Patriarch Rossellini, patriarch Socrates, both absorbed in the difficult delivery of Truth," which is echoed in Michael McKegney's review of the film in The Village Voice: "Two great men separated by so many centuries seem to speak with one voice to a race which controls the atom and the atmosphere but seems to have forgotten why: 'Know thyself.'") 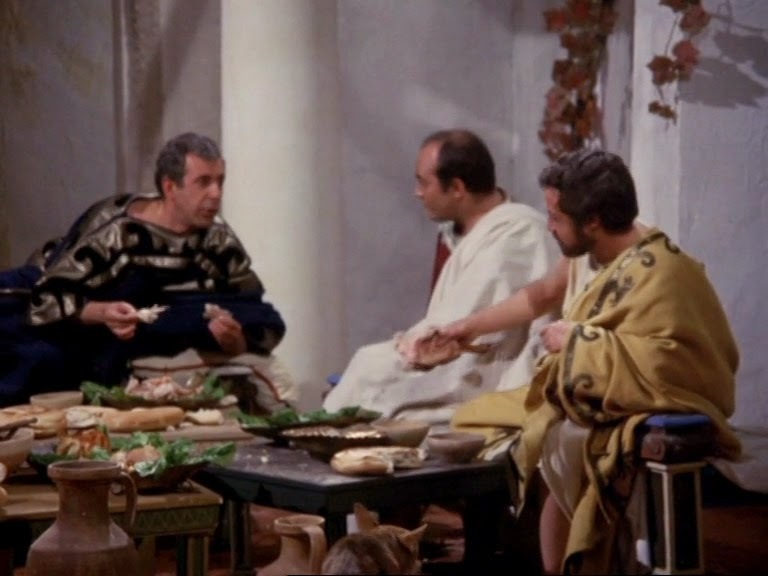 Rossellini's serene, sometimes shocking account of Socrates' life and philosophy characteristically fastens on fact rather than myth, placing the prodigious figure in a detailed setting of the city with its workers and merchants, and a mundane domestic world of meals, servants, and an impulsive wife. 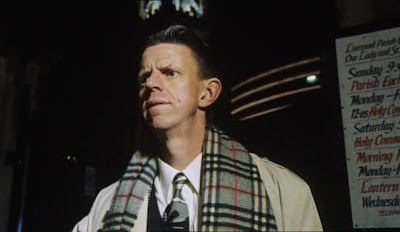 Its irony also restrains any reverence for the great philosopher, emphasizing his foibles as well as his grandeur: when we first meet him, he has spent two days wandering about the city after forgetting that he left home to buy bread. 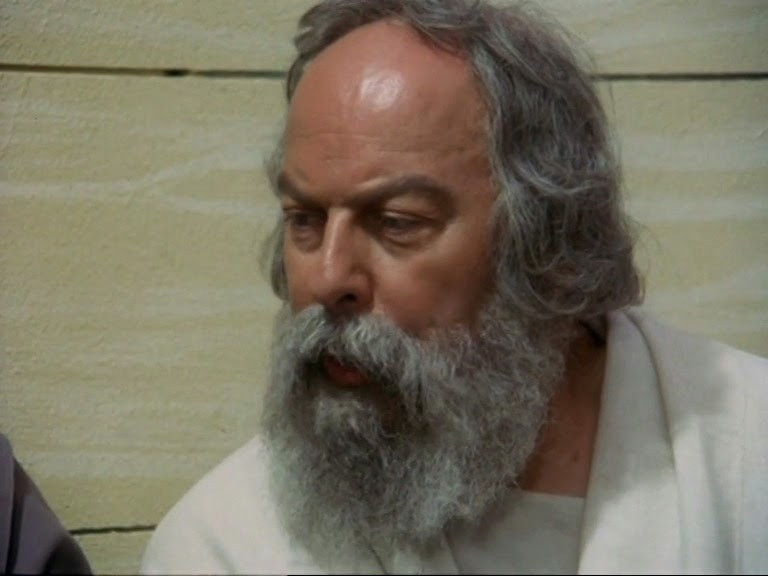 The trial of Socrates for impiety and "corrupting the young" is high drama, and the final sequences, in which his family and followers gather in a cave as he is about to die, have a simple, resounding eloquence. "There is in this fidelity a kind of beauty and poetry that are all but unknown in the work of other contemporary filmmakers" (Vincent Canby, The New York Times). 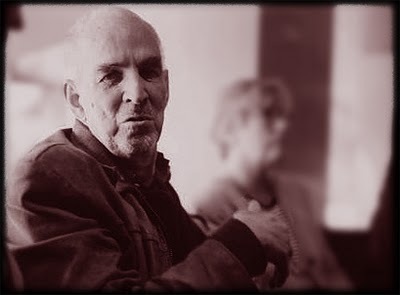 Sócrates era un proyecto que Rossellini había querido encarar ya desde comienzos de los años 50. 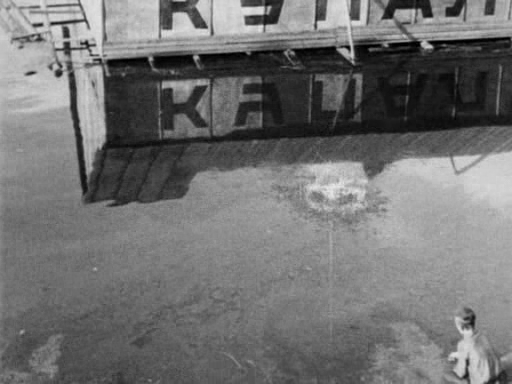 El film recrea brillantemente la antigua Atenas y los últimos días del orador y filósofo con el que el director claramente se identificaba. (El emotivo relato de Massimo Olmi sobre el rodaje termina con esta definitoria observación: "El Patriarca Rossellini, el Patriarca Sócrates, ambos entregados enteramente al difícil parto de la verdad", observación que halla ecos en la reseña de Michael McKegney para The Village Voice: "Dos grandes hombres, separados por siglos, parecen hablar con una misma voz a un género que controla el átomo y la atmósfera, pero que se diría que ha olvidado las razones para ello: 'Conócete a ti mismo'."). 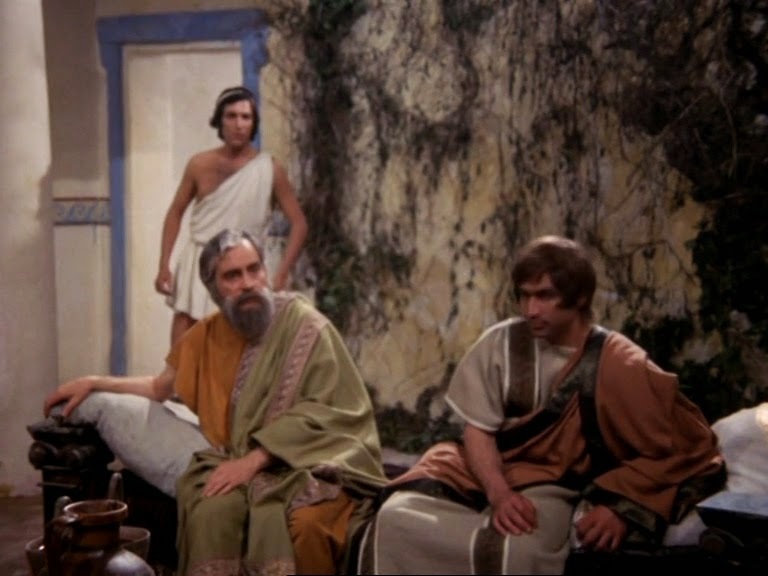 La serena, por momentos impresionante versión rosselliniana de la vida y la filosofía de Sócrates se apoya característicamente más en los hechos que en el mito, ubicando a la prodigiosa figura en un detallado entorno ciudadano, con sus obreros y sus artesanos, el doméstico orbe mundano de almuerzos, sirvientes y una mujer impulsiva. Su ironía evita también toda ciega reverencia por el gran filósofo, subrayando tanto sus debilidades como su grandeza: la primera vez que lo vemos, viene de pasar dos días vagando por la ciudad tras olvidar que inicialmente había salido a comprar pan. 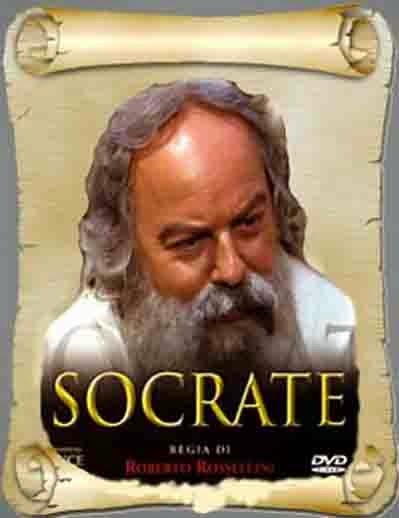 El juicio de Sócrates por impiedad y 'corrupción de la juventud' es drama de alto vuelo, y las secuencias finales, cuando su familia y seguidores se congregan en la cueva en la que va a morir, alcanzan una simple, resonante elocuencia. "Hay en esta fidelidad una suerte de belleza y poesía que son casi completamente inhallables en la obra de otros cineastas contemporáneos", ha escrito Vincent Canby, en The New York Times. Durante la Segunda Guerra Mundial un soldado alemán, que combate en el frente ruso, recibe un permiso para volver a Alemania. Al regresar a su hogar, buscará a sus padres desaparecidos tras comprobar que su casa ha sido bombardeada, y se enamorará de la hija de un preso político. During World War II, German soldier Ernst Graeber leaves the ferocious fighting on the Russian front to return home on furlough but upon arrival finds his house decimated and his parents gone. He and a childhood acquaintance, Elizabeth Kruse, find one another amid the ruins of the town and fall in love, though Graeber knows he must eventually leave Elizabeth and return to combat. 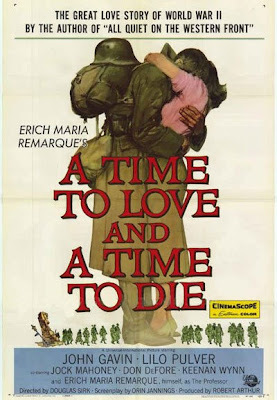 Œuvre déchirante et intense sur la folie et l'absurdité de la guerre, Le Temps d'aimer et le temps de mourir marie le film de guerre avec l'intensité et la beauté du mélodrame. "Ce qui m'a intéressé, devait déclarer Sirk, c'est ce décor en ruines et ces deux amants. Cette histoire d'amour est inhabituelle. C'est un film qui est très proche de mes idées, particulièrement pour sa description de la brièveté du bonheur." En Saraband, Marianne y Johan vuelven a encontrarse después de haber permanecido separados treinta años. De pronto, Marianne siente la necesidad de ver de nuevo a su ex-marido. Decide ir a visitar a Johan a su antigua residencia de verano situada en la provincia de Dalarna. Así, un precioso día de otoño, se coloca al lado del sofá reclinable y le despierta con un beso de buenos días. En la propiedad también pasan el verano el hijo de Johan, Henrik y la hija de este, Karin. Henrik imparte clases de violonchelo a su hija y tiene planes de futuro para ella. La relaciones padre-hijo son tensas, pero ambos son protectores con Karin. Guardan luto a Anna, la querida mujer de Henrik, que murió dos años antes, pero que sigue aún presente en sus vidas. Marianne no tardará en darse cuenta de que las cosas no van tan bien, y se ve envuelta sin quererlo en una complicada e incómoda lucha por el poder. Saraband is the last motion picture directed by Ingmar Bergman - his parting gift to the medium that made him world-famous. 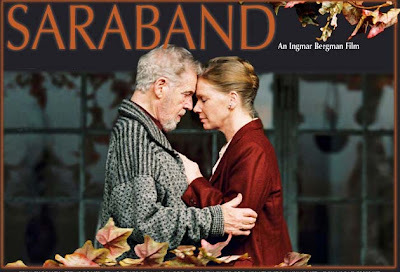 Saraband is an astonishment: vital, powerful, magnificent. 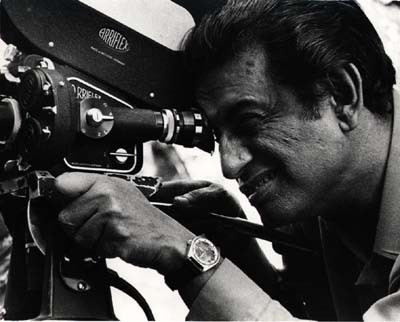 Granted, when a great filmmaker, however ancient, makes a sublime work of art, it should not come as such a surprise. 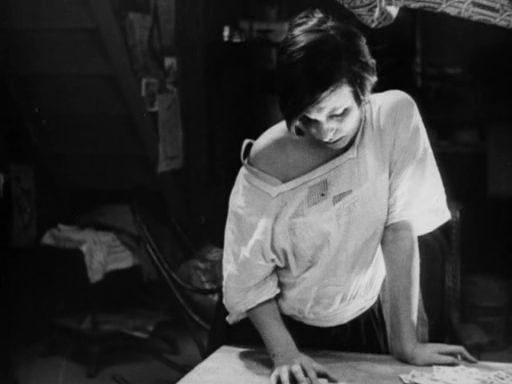 We can place this film alongside Dreyer's Gertrud, as a fellow Scandinavian's uncanny last word on the capricious power of love, in its positive and destructive aspects. Hola, soy scalisto y pienso utilizar este lugar para compartir películas que me han gustado. Hi, I'm scalisto and I will be using this blog to publish movies I've enjoyed.